Getting married in the Yorkshire area? Want your wedding to stand out for all the right reasons? Want to be able to relax and enjoy your wedding day? John will add the touch of sophistication style and add security to your Wedding that will leave your friends and family with unforgettable memories and you with a seamless wedding day. With a wealth of experience, John will assist you with all; or as much as you require of the following, to make sure that you have the Wedding of your dreams. If you are having a Civil Ceremony or a Church wedding, John will be available to assist and guide the wedding party and guests immediately prior to and after the formalities of the ceremony. Make all the required announcements in the way and style that you desire. Guide all the guests through a professional receiving line, giving each and every guest the chance to meet the happy couple, in a fun, fast and friendly fashion. Announce the speakers in the correct order and time honoured fashion. Or as you would like them announced. Assist the bride and bridegroom with the presentation of their gifts. Guide you through the tradition of the ‘cutting of the cake’ in a way that helps you to enjoy the occasion. At the appropriate time provide a suitable conclusion to the wedding breakfast. Deal discreetly with any matters that may require attention, if needed. You will feel confident that because of the preparations before the day, you will be certain that your day runs exactly as you wish.You can relax with your family and friends without stress or worry. And be safe in the knowledge that what you want to happen will happen! 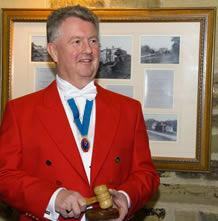 To add that touch of sophistication to your function, use John as your very own Toastmaster. 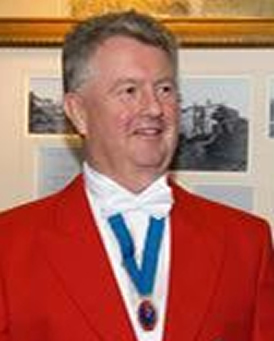 With a wealth of experience, John who is a member of the English Toastmasters Association, will assist you with all or as much as you require, to make sure that you get the event of your dreams.